Now configurable in the display settings menu. New option “AUTO” which controls the backlight using the ambient light sensor. Display settings are now persisted across resets. Notification popups now time out after 3 minutes. More information is now gathered on the watch to assist with support cases. This data will only be retrieved if the user manually submits a support case. Fixed an issue with Airplane Mode causing the watchdog to reset the watch if toggled too fast. Fixed a bug that caused certain MAP/SMS messages to crash the watch. Fixed the progress bar resetting between resource and firmware updates. Fixed some incorrect battery state transitions and thresholds. Pebble started shipping their watches at the end of January, with early reviews of the smart watch being quite positive. 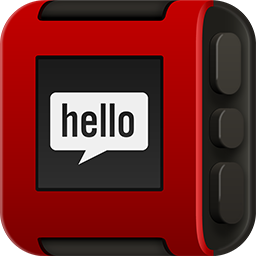 Ours has finally shipped out of Singapore and when it arrives we’ll keep you updated on whether or not the Pebble will live up to the hype.